The Papua New Guinea's Waigani National Court’s Criminal Division will be reviewing all bench warrants the court has issued since the 1980s for both the Waigani National Court and the Central Provincial Court. 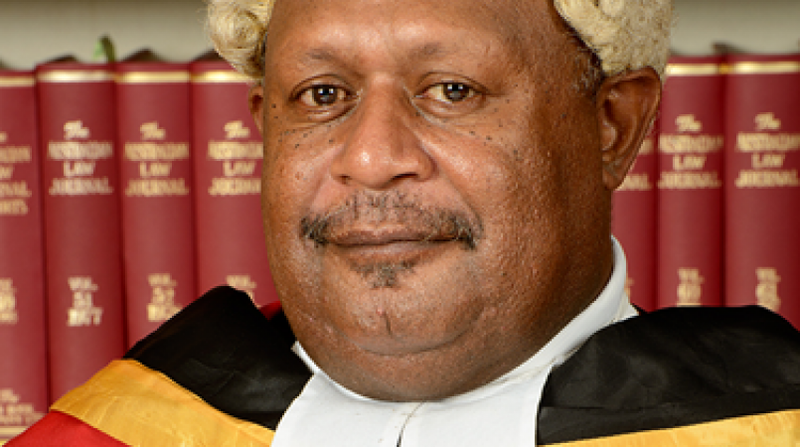 Justice Panuel Mogish who presides over the Criminal Division will be holding a callover to identify and confirm the overdue bench warrants that were issued by the Waigani National Court since 1989. He will also be holding a call over to identify and confirm outstanding bench warrants that were issued at the National Court in Kwikila, Central Province since 1999. Justice Mogish said more than 4,000 bench warrants had been issued by the National Court’s Criminal Division since 1989 and the review exercise would give a sense of direction to the court as well as assist the Public Prosecutors’ office to verify the files of cases with outstanding bench warrants. And he wants the court to do a physical audit of the bench warrant cases file by file before 2016. He said most of these people who had bench warrants issued against them since 1989 would be either dead or very old by now. Justice Mogish in a paid newspaper advertisement today called on all defendants involved in criminal cases, victims and witnesses to crimes to inform anyone who has had a bench warrant issued against them to report to the National Court’s Crime Registry.